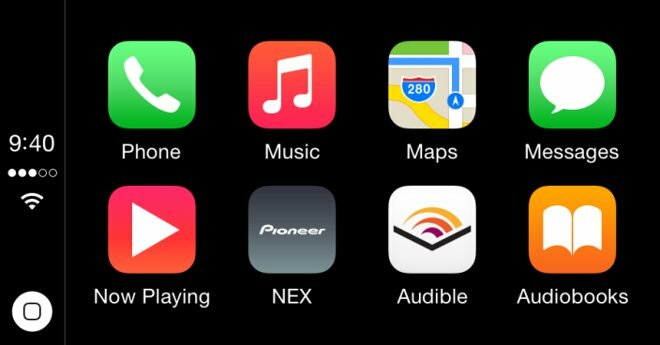 People with a CarPlay-compatible vehicle or head unit should see an Audible icon appear on their dash automatically if they have the app installed on a connected iPhone. The Apple CarPlay platform makes it possible to use an iPhone a vehicle without creating a dangerous distraction, thanks to dashboard integration and a simplified interface. The Audible app has received several general updates as well, including improvements to the Sleep Timer, Discover mode, and the tab bar. The Lock Screen and Control Center's track control icons should now accurately reflect whether a user has them set to 30-second forward/back or chapter skip. The app is a free download for any device with iOS 7.0 or later. For the MB Companion App, coming sometime this fall, users will initially have to own a Mercedes C- or S-Class car, although support for more models is promised to come at a later date. The main feature will be easy transitions between walking and driving directions. 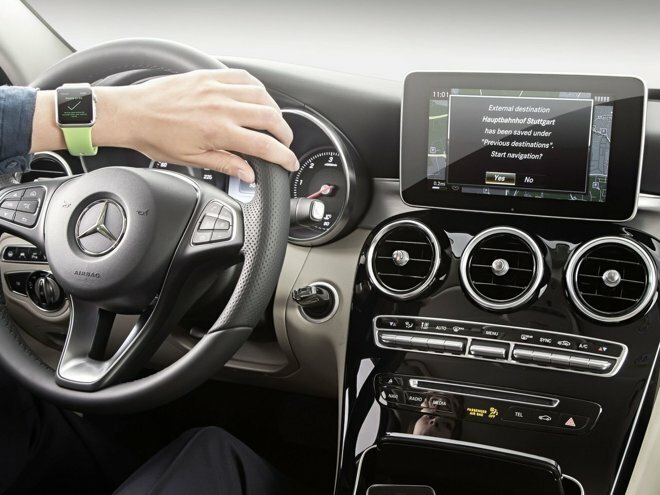 Selecting a destination on the Watch will first provide walking directions to the car, then pass guidance to Mercedes' COMAND Online system once the vehicle is started. Parking will switch the Watch back to walking mode. Other planned features include the ability to check odometer readings, fuel level, available range, and a vehicle's maintenance code.